New Orleans As Facebook slips off its pedestal of pretense and posturing about its contribution to the common good that has disguised its brutal capitalist commitments and real priorities, it’s worth wondering if claims to protect consumers’ privacy are just more empty promises. 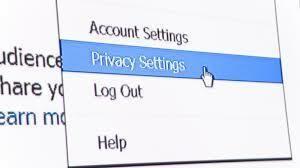 Personal privacy may be just a lost cause and a battle engaged too late. Many of us use Facebook, Google, LinkedIn, Amazon and the rest for work, so we’re simply stuck in the muck of social media: we can’t get out, so we’re hoping it doesn’t pull us under. There may be some strategies though. We could ask the European Union to regulate these companies. They seem better at it. In the United States, there’s too much “oh, gee!” and too little “oh my god” from politicians and potential regulators. Asking the EU to do the job would be cheaper. We could just enter a “me, too” agreement. What’s good for them, would be great for us. One of the priceless ironies is the intramural dispute between Facebook’s Zuckerberg and Apple’s Tim Cook over regulation. Cook is saying it may be needed now even while he hedges with language about “careful crafting,” which is usually a euphemism for allowing lobbyists to write the regs. But, look, Apple has to be the most consumer indifferent company in Silicon Valley. Inexplicably, passwords won’t work. They control obsolescence by weakening I-Phone batteries. They jack their prices to try to make their products luxury items around the world. They believe in privacy so much that they block you from their products after you buy them! If we can’t go Euro, some people have embraced alter egos and misinformation. There was an article where Facebook was complaining that saying you were 113 years old for example messed with their algorithms. Their whine seems to be a mandate to try this strategy. Monkey-wrenching their algorithms sounds like a way to go to the heart of the beast and get their attention for real! Multiple identities are anther prospect many have used. Some are fabricated. Others use middle names, nicknames, maiden names, nom de guerres, or whatever in order to participate, but to create their own bubble around their privacy. Facebook claims you can’t have two accounts, but, hey, people are doing it everywhere, so don’t tell me with 2 billion users or the recent headlines that they are on top of their business, ok? Or, another way you can protect yourself on Facebook, which many young people are doing, is simply never join. Of course, when they go Instagram, which is owned by Facebook, they defeat the purpose, but the Facebook growth engine is not being fueled by young people in the West, but by new users around the world. Some of these strategies might work, but believing we still have privacy in the modern world of the internet and social media, come on, really? If you do, please contact me, there’s a bridge in Brooklyn that I think would be a perfect purchase for you. Message me on the FB! This entry was posted in Ideas and Issues and tagged facebook, privacy, social media, technology by Wade. Bookmark the permalink.